Sign the Petition!–Demand a Federal investion into Probate! Only a federal probe similar to operation Graylord can root out the perpetrators of this demonic cancer in America perpetrated in probate courts across the country. Trillions of dollars passed through probate court every year and every American with assets can expect to be involved in probate court at some time in their lives. o (2) A complaint has been voted by the Inquiry Board; the attorney-respondent has committed a violation of the Rules of Professional Conduct which involves fraud or moral turpitude or threatens irreparable injury to the public , his or her clients, or to the orderly administration of justice; and there appears to be persuasive evidence to support the charge. · (b) Form and Service of Petition. The petition shall be verified or supported by affidavit or other evidence and shall be filed with the clerk. The petition shall be served personally upon the respondent. If the respondent is unavailable or respondent’s whereabouts is unknown, the respondent shall be served by mailing a copy of the petition by ordinary mail to respondent’s last address shown on the Master Roll. o (4) Physical and mental examination of the respondent. The grounds for an interim suspension are FRAUD, MORAL TURPITUDE, and OR IRREPARABLE INJURY TO THE PUBLIC. Exactly how does a lawyer maintaining a blog that discloses Fraud, Moral Turpitude or official conduct that causes irreparable injury to the public i.e. violations of Federal, State, and Constitutional by the Illinois Attorney Registration and Disciplinary Commission administrator and those acting in concert with him qualify for an interim suspension of the said lawyers law license? If exposure of such conduct is unethical than the United States Attorney and the attorneys who successfully prosecuted several score of criminal actions by jurists and judicial officials in the Operation Greylord scandal all are as guilty as JoAnne Denison. The actions of the Supreme Court of Illinois are similarly suspect in the case of Lanre Amu. His crime was complying with In re: Himmel,  Exactly how an attorney can receive an interim (and a three year) suspension for reporting a judge whose acts in questionable manner to the judicial authorities has not been explained. How compliance with a Federal Statute 18 USCA 4 is fraud, involves moral turpitude, or injures the public is similarly a mystery that the Supreme Court of Illinois has yet to enlighten the voting public. With the Supreme Court of the United States holding in United States v. Alvarez 132 S. Ct 2537, 42 USCA 12203, 47 USCA 230, 320 ILCS 20/4, 18 USCA 110/5, 18 USCA 241, 18 USCA 242, 18 USCA 2, 18 USCA 3, and 18 USCA 4 all prohibiting the suspension how did the Illinois Supreme Court enter an order decreeing the interim suspension? A little history might be relevant. It is a common complaint of the families of the ‘elder cleansing’ victims that they cannot find attorneys who will undertake to represent either them or the designative victims. In a Florida case the victim’s family watching the dissipation of an elderly victim’s estate (and in particular valuable real estate) complained that they had run though almost a dozen attorneys who started the assignment with great enthusiasm only to suddenly drop the case. In the Sykes case 09 P 4585 Gloria Sykes had a similar problem. JoAnne Denison was not frightened off, so the Guardian ad Litem complained that she had a ‘conflict of interest.’ The conflict alleged was that she had witnessed a document in a totally unrelated matter. Other lawyers suddenly lost heart when threatened either by the Judge or someone else as to possible loss of law license. Flash back to my situation. First I was threatened by the guardian ad litem and the attorney for the plenary guardian that if I did not cease and desist my investigation of the Sykes matter I would be sanctions. Indeed, I was even though the Judge, the two guardian ad litem and the attorney for the plenary guardian appointed under highly questionable circumstances all knew that the Court had no jurisdiction over me. An Appellate Court decision reversed the almost $5000.00 sanction. However, Jerome Larkin and the Illinois Attorney Disciplinary Commission when informed by Cynthia Farenga (one of the Guardians ad litem) that I was asking for an HONEST investigation commenced disciplinary proceedings against me. It looks like a duck, swims like a duck, has feathers like a duck, and it smells like duck. There is thus no reason to not recognize that as part of the ‘elder cleansing’ scenario the co-conspirators are actively, notoriously, and openly not only violating the Americans With Disabilities Act, operating beyond the legal limits of the guardianship statutes, openly and notorious violating the Civil and human Rights of the elderly and the disabled, BUT are preventing the victims and their families from having legal representation by fraud, actions of moral turpitude, and actions that can cause irreparable injury to the public. The action of the Supreme Court of Illinois in the interim suspension of JoAnne Denison is a shot across the bow of America’s core values. Kim Jong of North Korea would be really proud of the Justices of the Supreme Court of Illinois, but, America’s founding fathers and America’s heroes would hang their heads in shame. Compare my recent supsension for blogging about a highly troubled case in Probate and other Attorneys who have disclosed troubled, corrupt cases and you will see a clear pattern across the United States. At the same time the “Code of Silence” by attorneys and judges is being enforced because “attorneys and judges have reputations to protect”, other websites decry the practice (as do Ken Ditkowsky and myself) as nothing more an an excuse for a perfectly a good old fashioned cover up operation. In fact, it’s so bad in Illinois, many have told me that the ARDC stands for Attorneys (that) Really Do Coverups (I have another acronym, but I can’t mention that one here in polite conversation). Many attorneys have come forward with many, many explanations for mysterious events in and out of the court system. I am my amerteur band of investigators find more and more answers each and every day. So what does Mr. Larkin do? Cover it all up. And if you look at his mortgage records you can see the real reason why–plenty of cash there. I’d like to have my mortgage paid for me too–but not at the expense of my tailfeathers. and this isn’t the only letter the Coopers have sent the ARDC. There have been many. But the long shot is, Alice Gore ended up in a nursing home where she didn’t want to be. A mentally ill relative was permitted to be Guardian. A good daughter was not allowed to take her mother home and care for her there. In the end, Alice Gore’s 29 gold teeth were pulled because she ate too slow and a feeding tube was implanted against her will. $1.5 million disappeared from that estate. In the end, Alice Gore was dehydrated and starved to death and the ARDC refuses to get involved and the authorities in Illinois do nothing when the person has been murdered. I am still calling for the tox screen of everyone from a nursing home that appears to be dehydrated and/or malnourished. These murders have to be investigated with honest, thorough and competent investigations. From my long time friend, Emily Hodges, who is now living in an ALF or Assisted Living Facility, this is a documentary about a man living there and how he copes with the routine, the dependence after being an active person who vigorously exercised, taught and was well educated before his car accident, which left him in a wheel chair with limited hand movement. 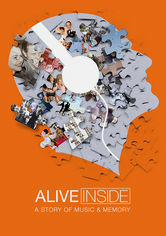 And if you haven’t seen the movie, Alive Inside, a Story of Music and Memory on Netflix and Amazon, please do it now. In the 1950’s through the years when the Circuit Court was housed in the County Building it was widely known and laughed about that the County was burning their records in the annual fire that raged though floor 3 1/2 with great annual regularity or when an embarrassing investigation was anticipated. (City Hall also had a 3 1/2 and a similar situation). When the Brunswick building fire occurred many of the oldtimers feeling nostalgia & the statement: ” wonder who is being investigated now!” It stopped being funny when people were killed. Of course all of the fires could have been co-incidence – but the timing was perfect – only a few lawyers were in the building along with very few public employees. There was no panic, no injury except to some papers that might be embarrassing. If the Fire Department records have not been destroyed they will bear out the pattern. (When the Daley Center was completed enough to move into the County building fires ended – until the Brunswick Building fire 69 W. Washington). Now that Mr. Larkin and his terrorists at the IARDC have made an issue of the fires, maybe they are doing so because THE HAVE SOMETHING ELSE TO HIDE! Again, if anyone has any information about the fires, please come forward in complete confidence. I have already had some attorneys respond with some amazing information, and this has been passed to the authorities. If any victims families come forward, I suggest you demand the investigation be reopened. There are things you should know. Closure is very important for families. The deaths apparently did not have to happen at all, if fire codes had been respected by management, but they were not. And, initial articles on the fires indicate at first the 6 deaths were ruled a homicide after an initial investigation, but that was changed sometime later. If what I have heard is true, the first assessment was correct and the parties involved should have been charged. America has been very lucky to date. It continues as a viable republic in spite of events that could have destroyed her. For instance, in 1812 a hurricane drove the British out of Washington and saved the Republic. On December 7, 1941 the Japanese attacked Pearl Harbor. The American pubic reacted with patriotism and love of country. On September 11, 2002 terrorists attacked the Trade Center in New York. Americans again rallied behind our President and consented to giving up some individual rights so that the Republic could prevent future attacks. Unfortunately, the internal corruption that has infected our political and judicial structure from time to time took advantage of the surrender of some our individual rights to enhance their own pecuniary and parochial interests. Yes, these criminal elements have been making inroads into destroying our America almost from day one; however, this virus in particular took hold in the health care industry. The miscreant took a huge chunk out of our liberty as Americans made sacrifices to protect their freedom from strangers. The multi-zillion dollar health care industry was target one. The elderly and the disabled were tempting prey and as the Government accounting office and others have pointed out they are routinely being dragged from their homes, railroaded into guardianships wherein they lose their liberty, their humanity, their property and all the rights of citizenship. A cottage industry of ‘elder cleansing’ has grown up. Every audit, and every examination of the industry produces evidence of the criminal activity that has become a National epidemic. The professional guardianship industry is the subject of citizen complaints on a daily basis. Horror story after horror story is disclosed. The Mary Sykes case 09 P 4585, the Alice Gore case, the Wyman case ****** all are representative of the seriousness of the malady. No outrage is too large or too horrible for the corrupt jurists, judicial officials and public officials who participate in the cottage industry of elder cleansing and their war on the elderly and the disabled. The ‘cover up’ of this assault on America and its democracy has intimidated many good people into silence. As an example the mainstream media systematically quashes any mention of the literally hundreds of senior citizens and disabled people who are isolated so that they can have their estates looted, and their humanity and civil rights abrogated. In a similar manner, Jerome Larkin and the Illinois IARDC are rude, disrespectful, and outright hostile to the hundreds of family members who have complained to the IARDC. The lawyers who pirate the estates of the elderly and the disabled are given a free pass, but, any lawyer who joins in the complaint is suspended from the practice of law. Laws are and have been enacted that all recognize that the present guardianship for profit fiasco is wrong, illegal, amoral, and a dagger at the heart of the republic. Congress, the Government accounting office, and others recognize the cancer, however, the outrage continues on a daily basis. 18 USCA 4 requires citizens, and especially lawyers, to report these felonies. The Illinois Supreme Court has ruled that a lawyer can be disciplined for not reporting the felonies. 18 USCA 2. 3, 371 make those who participate in the felonies equally liable with the miscreants. Our tax law provides that persons who engage in a conspiracy have joint and several tax liability for the proceeds (benefits) of the wrongful conduct. All that said, the law means nothing when it is not enforced or entities such as the Supreme Court of Illinois disrespect the law and aid and abet the criminals violating it. Herein Illinois we have the Sykes, Gore ***** cases all of which clearly illustrate that the Rule of Law is an enigma that looks, sounds, and is beautiful, comprehensive and concise – but, it is not to be enforced or given credence when the favored miscreants who are proactively kidnapping, isolating, robbing, dehumanizing and providing involuntary assisted suicide to their victims are given immunity. In recent months, the Illinois Supreme Court, Jerome Larkin and other members of the organized bar have demonstrated a total disrespect for the Bill of Rights (1st 10 amendments to the US Constitution) and Article 1 of the Illinois Constitution. Not a single mainstream media outlet, or a single elected representative, or a single name law enforcement official, nor any person who we have entrusted out democracy with has voiced a protest to the erosion evidenced by the license suspensions of Lanre Amu, JoAnne Denison or myself. Indeed, when Jerome Larkin barred a civil rights leader from the kangaroo hearing as to JoAnne Denison’s suspension not a word of protest was uttered. Why were we suspended? We committed the crime of complying with 18 USCA 4 and our obligations as lawyers and as citizens. We spoke out loud as to the ‘elder cleansing’ and/or the corruption of jurists, judicial officials and political figures who were actively engaged in assaults against the core values of America. In America this action is protected by law, legend, tradition and the writings of the Illinois and Federal Constitution. The silent invasion of our own brand of National Socialists has apparently garnered control of the State of Illinois. The question is whether or not the citizens of Illinois are content to live under a North Korean type government or whether they want the government that their forefather fought for. I was informed today that the Illinois Supreme Court apparently is so upset that JoAnne Denison has expressed her opinion (in a blog) that the railroading a senior citizens into guardianships so that they can isolated, stripped of their humanity, deprived of their liberty, and robbed of their property (assets) (ELDER CLEANSING) is wrong, that on this infamous day of April 22, 2015 they issued an interim suspension of Ms. Denison’s law license. If the report is accurate, Illinois has struck a terrorist blow to America’s core values and the liberty of its citizens. The Illinois Supreme Court has ruled that it is a danger to the public safety for a lawyer to express her independent view that elder cleansing is wrong. Few societies have survived the destruction of its core values. The Communists under Stalin ran the Soviet Union into the ground, and under Putin are repeating the exercise. The National Socialist under Hitler destroyed Germany. America by failing to rein in the repressive and wrongful actions of a few deviants in the political and judicial community is following the path of the Soviet Union, Nazi Germany, et al. Ironically, the first wave of victims in the rush to destroy democracy and/or a liberal society are the elderly and the infirm. The Supreme Court of Illinois that it is proper for clouted lawyers and jurists to prey on the elderly and the disabled. Here in Illinois the April 22, terror attack by the Illinois Supreme Court on the law license of JoAnne Denison is a clear signal that Illinois is no longer part of the Union – it is a province of North Korea. Free Speech has been abrogated to mean that Lawyers and other citizens have all the opportunity that they wish to praise the corrupt judiciary, but have no right or privilege to be critical of it. It is no longer required in Illinois for a corrupt jurist to be concerned about jurisdiction, civil rights, human rights or the limitations on guardianship specified in State and Federal Law. When an elderly or disabled person has some money or property that the miscreant want not only is there a tacit agreement that the miscreants are entitled to steal the money or property, but the legal community will render the license of any attorney who does not attorney to criminal acts forfeit. Just like Nazi Germany – Illinois no longer subscribed to the Rule of law. If you think that I am over-stating the problem – Ms. Denison was granted an interim suspension – this means that the Supreme Court feels that she is an imminent threat to the safety of the public by her exercising her First Amendment Rights. Demand from your elected representatives an HONEST complete, intelligent, and comprehensive investigation of the Denison Case! Do not take a single word that I say as true – investigate for yourself. Start with 09 P4585, and then examine the harvesting of the gold from the teeth of Alice Gore. Failure to take heed means that you will have one or more of these miscreants in your future. And Ken, you know I have to add, I was serving so many poor and low income people pro bono in probate, I was exhausted, burning the candle at both ends. Now, I am refreshed and free of any and all obligations that make me stay up late at night drafting pleadings so I can get up early and run to court in the morning, meet clients in the afternoon early evening, draft pleadings until late at night. These people really aren’t too bright. If they wanted to kill me, that was definitely a best way out for them. Now I can investigate and survey in peace. I already am conducting a reinvestigation of the fire at the OPG that killed 6 people. Did you know, at first it was ruled a homocide and then the big wigs reversed that? Apparently Patrick Murphy was involved–big time. And a whole lot of lawyers know it and told me about it. Then I asked if they reported this to the FBI and all I got was silence. So if you are an attorney out there that has information on the 6 fire victims, please contact me and I will report it for you–no names will be used. Or, if you are a victim’s immediate family, I will reveal the information to you and ask you to contact the FBI.